In China and Southeast Asia, import PS prices have maintained their stable to slightly firmer trend which has been mostly in place since the markets hit a more than one-year low in around early December. Gradually improving demand, particularly for GPPS, has helped sellers adopt a firm stance on their PS offers while volatile styrene has kept price gains in check. The overall ranges for import GPPS and HIPS prices in China and Southeast Asia were stable to $10-20/ton higher last week. A Southeast Asian producer sold HIPS inj. to the regional markets with a $30/ton increase from a week earlier. 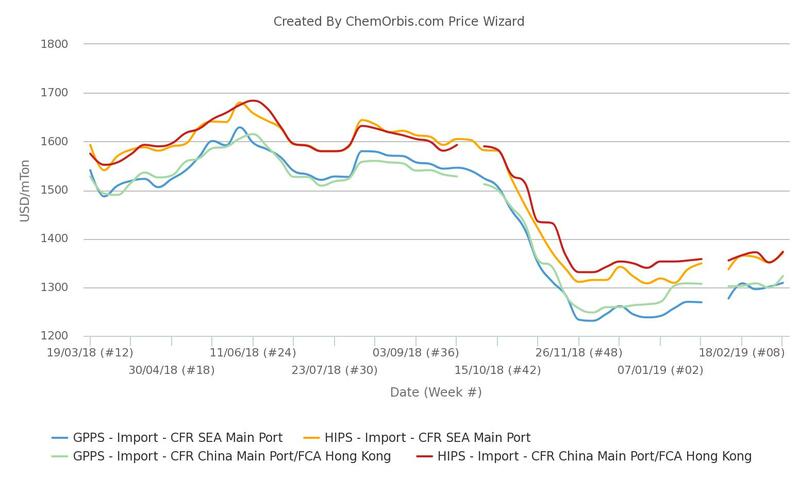 Following these price hikes, the weekly averages of GPPS and HIPS prices on CIF China/SEA basis reached their highest levels since mid-November, according to data from ChemOrbis Price Index. Demand towards GPPS has been gradually improving, particularly in Malaysia and Indonesia, where buyers have started to secure material given the approaching Ramadan month. “We believe that demand from the downstream markets will remain buoyant until around May thanks to the preparations for the fasting month in Muslim countries,” a Southeast Asian producer commented. In China, meanwhile, PS demand has been recently boosted by the positivity around the ongoing trade talks with the US, a few regional traders opined. China’s decision to cut the value-added tax by 3% for its domestic manufacturing is also expected to positively reinforce the market in the near term. Despite the optimistic outlook for demand, the volatility in the upstream market is casting a shadow on the PS sentiment as many players are still reluctant to take positions given the unclear outlook regarding the direction of styrene. 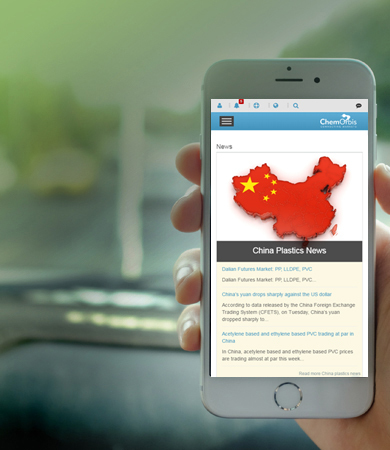 Spot styrene prices in Asia have been fluctuating for the past couple of weeks as the market is stuck between ample local supplies in China and several planned shutdowns across Asia in the March-April period.